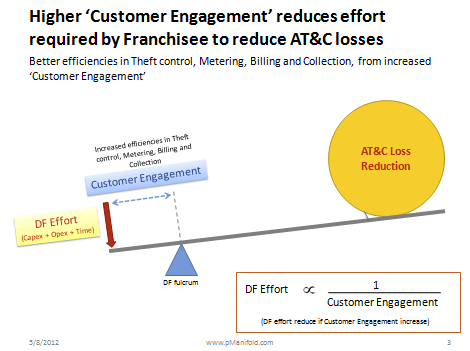 pNet - pManifold Network Blog: Can Customer Engagement at Utility help expedite AT&C loss reduction? 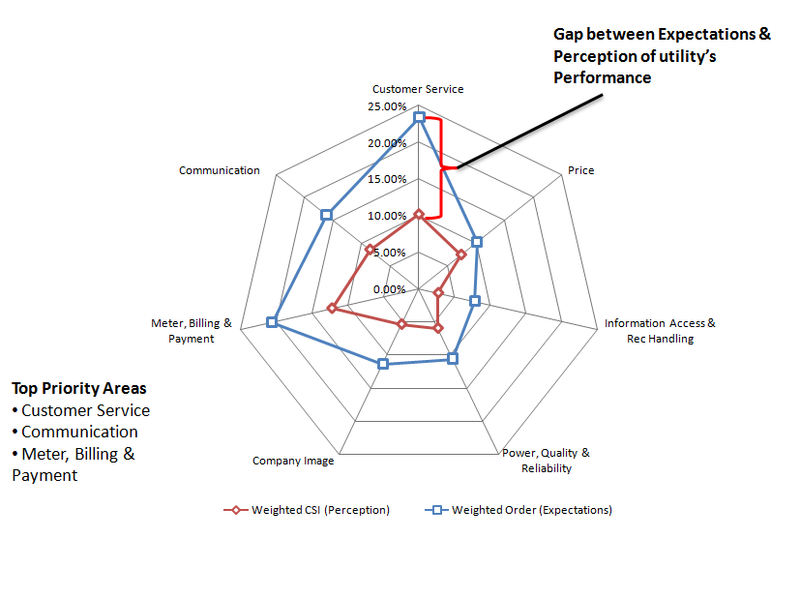 Can Customer Engagement at Utility help expedite AT&C loss reduction? Are forced customer behaviors (like theft, aggression, default, late payment) resulting from poor utility service quality and delivery, or inherent human behavior? Can improved 'Customer co-operation' help utilities to expeditedly undertake AT&C loss reduction? In Indian utilities, there is still not much appreciation of 'Customer Engagement' and its role to reduce 'AT&C losses', which is core for all Distribution reforms (including the emerging Distribution Franchisee business model). One definite reason for this overlook is the regulated and monopolistic utility market structure in our country. There has always exist a gap between the Customer 'perception' (how he sees service delivered to him) and their 'expectations' (what he wants from the service). The wider the gap and more its overlooked, there will be increased occurrences of forced customer behaviors, which accounts for significant AT&C loss. Your comments on our hypothesis are welcomed. One of our broad aim through this work with Utilities is to support a Customer driven Governance & Transformation in Indian utilities, and position Customer Engagement as one of the important tool for success of Franchisee business.